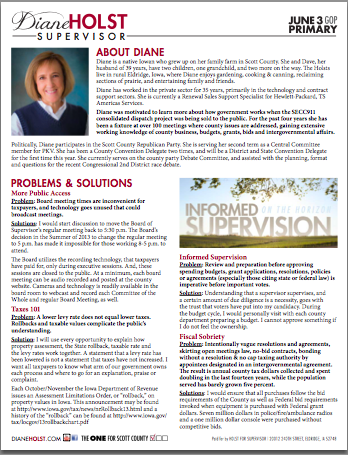 Scott County, through our lobbyist, the Urban County Coalition, has taken a position on SSB 1026, now SF 466, that I am not in agreement with. Currently, the Supervisor’s limit on essential county purpose bonds is $1.2 million. The original version, SSB 1026, would remove all limits if the project is 50% occupied for judicial purposes. Version SF 466 drops the judicial purpose requirement to 25% and changes the bonding limit from unlimited to $2.5 million. I do not support either version, with the most recent linked HERE. 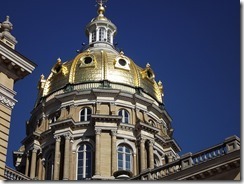 The lobbyist reports in their April 3rd newsletter that the bill will not be taken up by the House and is dead, but they will start looking to some avenues to attach certain pieces of SF 466 to other bills down the road and pass the key provisions that way. I will continue to watch for language increasing bond limitations for real property being attach to other legislation.